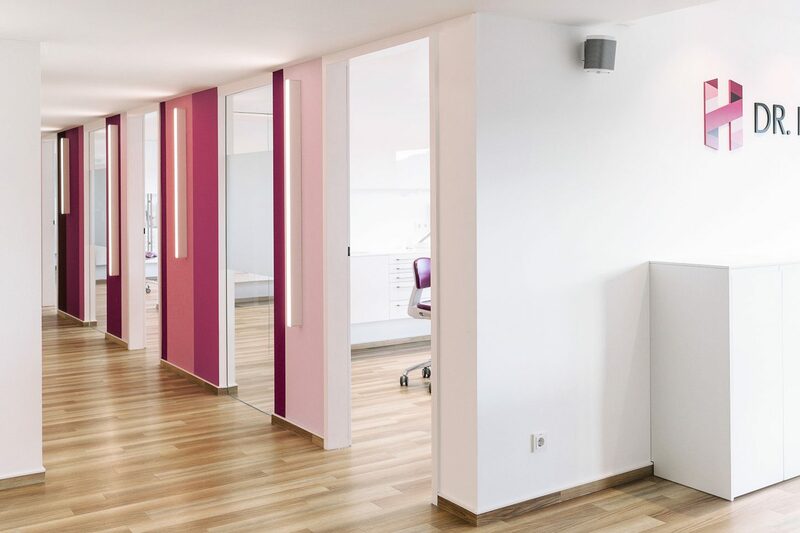 We look forward to making your visit to our modern surgery and your orthodontic treatment as pleasant as possible. We have the latest technology, ranging from the highest hygiene standards, digital treatment planning and fully air-conditioned rooms to digital, low-radiation X-ray equipment and an innovative ultrafiltration system for chemical-free drinking water treatment for the entire surgery. The treatment we provide is based on our extensive experience and in-depth specialist knowledge. Regular training and development enables us to give our patients state-of-the-art treatment in accordance with the latest, scientifically proven findings.